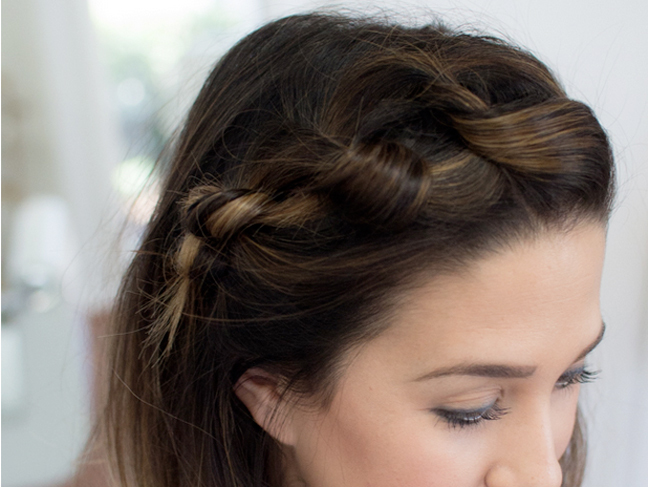 I love the ease of braids. 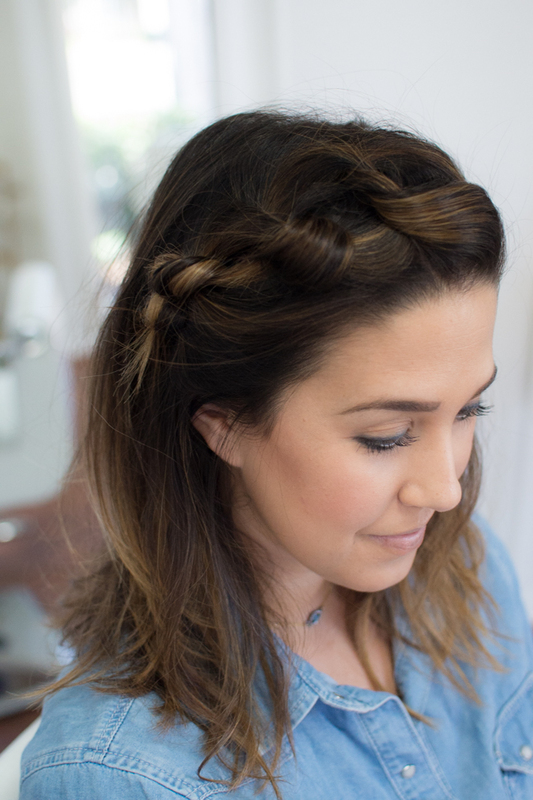 If you haven’t had time to wash your hair in a day or two, a chic braided ‘do is the solution. 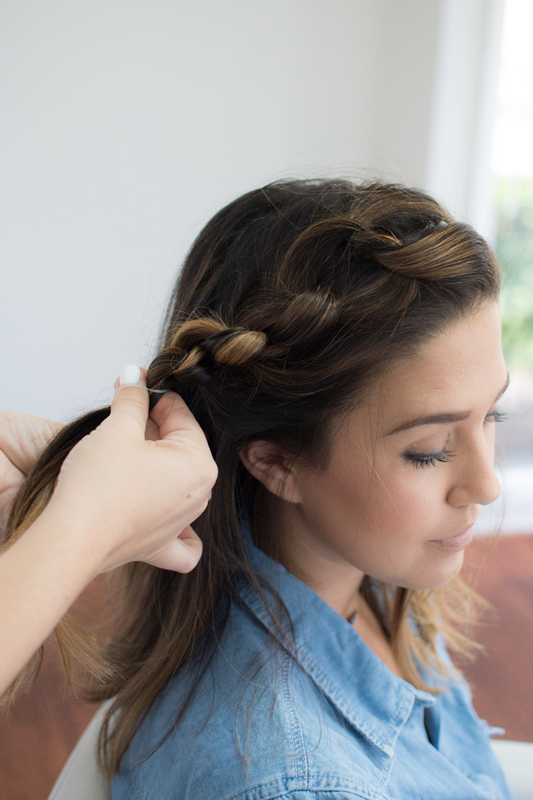 Here’s a tutorial for a fun twist on the traditional braid: the knotted braid. 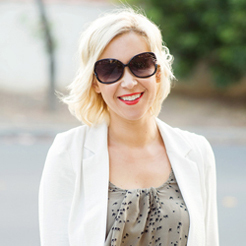 It takes knots to a sassy level, and it’s so easy to pull off. 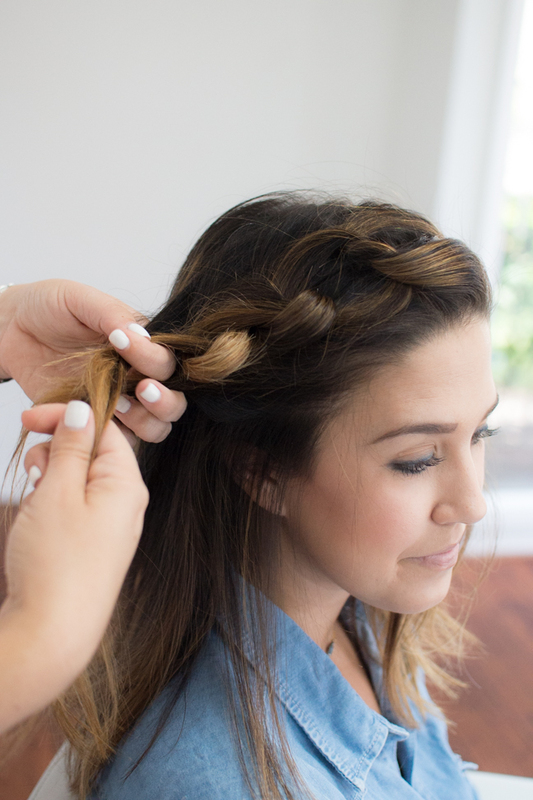 Step 1: Take second day hair and create a deep side part. Step 2: Take a two inch section, starting at the part, and split the section in two. Proceed to tie the two sections into a knot. 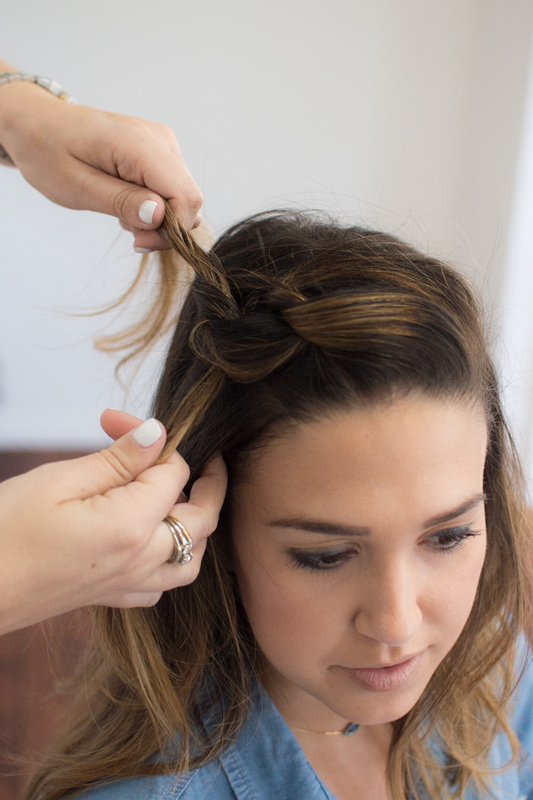 Step 3: Pull hair to secure your knot. 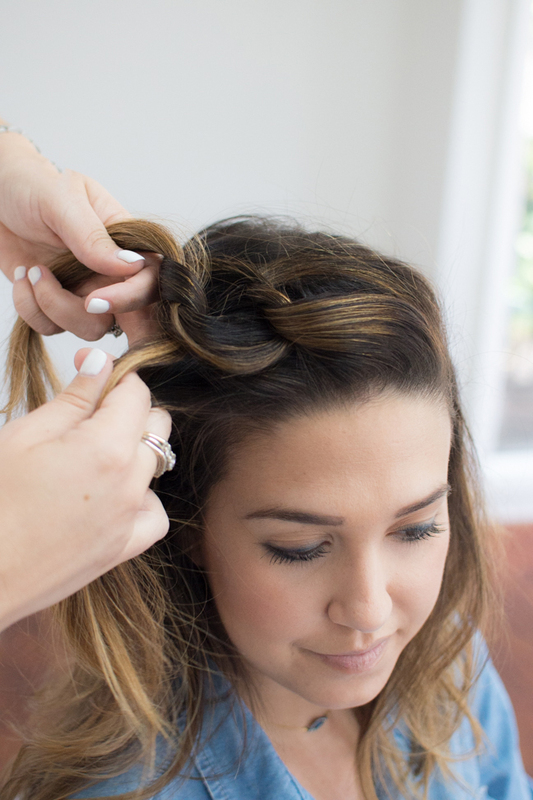 Step 4: Grabbing sections from both sides of the knot, add them to the tied ends. Step 5: Next, add another knot under the first and pull tight. Step 6: Continue with a third knot. Step 7: And a fourth. You can continue if you’d like, but I like the look of four total knots. Step 8: Secure section with a clear elastic band. 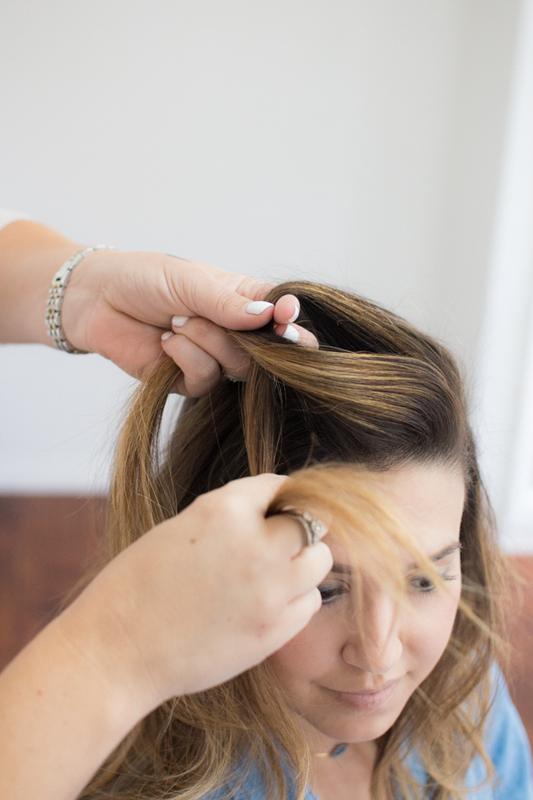 Step 9: Lightly loosen up knots and spray with light hairspray.